Bottom line: 1-800-PACK-RAT is a moving container company that excels at local moves for budget-minded customers. 1-800-PACK-RAT is a container-based moving and storage company that delivers a rented, portable container to your home, where you pack it yourself. The company then stores your container or ships it to your destination. When you’re ready for your stuff, 1-800-PACK-RAT delivers the container to your new home, where you unload it yourself. You load/unload, and they drive, making container-based moving a hybrid of the classic DIY and full-service moving models. Is 1-800-PACK-RAT right for you? 1-800-PACK-RAT offers both local and long-distance moves throughout most of the contiguous United States. However, with more options and tools for local movers, that’s where they really shine. Like most container-based moving companies, 1-800-PACK-RAT is a lot cheaper than a full-service moving company. However, you’ll almost certainly pay more than you would for a truck rental. You can do your own packing. This is still a DIY move because 1-800-PACK-RAT does not do any loading or unloading from the container for you. That’s your responsibility. You don’t want to drive a truck. Driving a rental truck means worrying about the fuel, mileage, potential damage, and other stresses. You can avoid all that with 1-800-PACK-RAT. Between its two largest competitors, PODS and U-Pack, 1-800-PACK-RAT most closely resembles PODS. The main difference seems to be that 1-800-PACK-RAT emphasizes local moves, whereas their competitors concentrate on providing great long-distance moves. More on this later. 1-800-PACK-RAT stands out as a stellar company for local moves, but we wouldn’t recommend them for long-distance moves. Local movers who use 1-800-PACK-RAT have more flexibility with container sizes and more online features like My PackRat, an online management tool that lets movers schedule pickups/dropoffs, update addresses and payment options, etc. This will save you time and hassle, as well as those annoying waits on hold. Long-distance movers will be tied to the phone support staff for updates and changes. It’s challenging to get a handle on 1-800-PACK-RAT’s availability. It’s clear that 1-800-PACK-RAT is available only in the United States (no international moves). Service is unavailable in several states, including Alaska, Idaho, Hawaii, and Vermont. Note that there may be other states where 1-800-PACK-RAT is not available, but the company would not provide a list. The best way to check availability in your area is to enter your ZIP code—origin and destination—and obtain a quote. Unfortunately, as we’ll detail below in “customer experience, you must call a customer service agent after visiting the website to obtain the quote. In our opinion, getting a quote should be easy. Just checking availability with 1-800-PACK-RAT requires too many steps and too much time. Prices for 1-800-PACK-RAT are comparable to what you would get from other container-based moving companies. The quotes we obtained put their prices almost even with PODS and a bit more than U-Pack for comparable container space going the same distance. As with all container-based moving companies, expect to pay more than you would for a truck rental and a lot less than you would for a full-service move. The quote you get from 1-800-PACK-RAT will be accurate, meaning that once you commit and give them your credit card number, you can lock it in without worrying about it changing. (Compared to the idea of non-binding quotes from full-service movers, this is a relief.) But if you wait to book your move, the price could change later. Unfortunately, the numbers within that quote aren’t always easy to interpret. Your total price is produced by adding up charges for monthly container rent, delivery, relocation, and final pickup. The most important thing to know is the price for the monthly container rental, since this is what you’ll pay if you keep the container longer than 30 days. Be sure you know this number when talking with the 1-800-PACK-RAT representative. The process for reserving a move, or even getting a quote, from 1-800-PACK-RAT usually requires a phone call, which may frustrate potential customers who just want a quick price as they shop around. If you start a quote online, you’ll need to call to get the actual price of your move. This has some benefit: it allows you an opportunity to ask questions and speak with a real person. But it can also create a high-pressure sales experience, which is especially annoying if you’re just shopping around. When we called for quotes, the phone agents invariably pushed aggressively to get us to book the move. If you make a reservation with 1-800-PACK-RAT, they will take your credit card information over the phone and arrange a date for your container to be dropped off at your home. Five days before that date, they will charge the first $500 of your total fee. The rest is charged once your container has been picked up for transit. It takes a whopping ten business days for your container to arrive at its destination, at a minimum. This is because 1-800-PACK-RAT will try to fit three containers on each truck, maximizing cost-efficiency. Whatever the total transit time, it will all be worked into your 30-day rental period, so plan accordingly. Once you’ve unpacked your container at your destination and 1-800-PACK-RAT has picked it up again, you’ll be finished with the container and will not be charged for more days. If your total move time stayed under 30 days, you’ll only pay the amount you were originally quoted. However, if you go over by just one day, you’ll pay for another month, since 1-800-PACK-RAT charges by the month, with no prorating option. To make a reservation, or if you have a question or problem during your move, you can reach 1-800-PACK-RAT’s customer service and sales departments by phone, email, or online chat. It isn’t available 24/7, but they have long hours, extending to 11:00 p.m. EST every day. For long-distance moves, 1-800-PACK-RAT includes $10,000 in coverage for your items and a damage waiver for the container at no additional charge. Such coverage is fairly standard across the industry. This will cover your items for any damage that is the fault of 1-800-PACK-RAT, but will not cover damage from normal shifting and bumping in transit. So pack your items well. If your items are damaged en route and you believe it’s 1-800-PACK-RAT’s fault, you can file a claim based on your purchased liability coverage. While the damage report should be filed immediately, you’ll then have up to nine months from the delivery date to finish filing the claims paperwork. 1-800-PACK-RAT then has 90 days to approve or deny the claim. 1-800-PACK-RAT loses some points for not having an online claims process, which some competitors provide. If you need to file a claim, you must first talk to an agent over the phone. There is no phone number for a dedicated claims department, so you’ll first speak with a regular customer service representative about your claim. This means you’re rolling the dice, and you could get a rep who doesn’t know the claims process. The first rep we talked with about the claims process didn’t know anything about the claims process or timeframes mentioned above and we had to escalate to another employee to find information. When packing and unpacking your belongings, document everything. Take plenty of photos, especially of valuable items and how they were packed. Save receipts from any repair work that was required due to damage in transit. The more documentation you have, the more likely your claim will be successful if you have to make one. What additional services does 1-800-PACK-RAT offer? 1-800-PACK-RAT does two things: moving and storage. Many companies will offer additional services and products like packing supplies, furniture assembly, or cleaning services. 1-800-PACK-RAT offers none of these services. However, they will refer you to their website to a local loading/unloading company, using a third-party service called HireAHelper. So, is 1-800-PACK-RAT right for you? 1-800-PACK-RAT came in third place in our ranking, behind its two largest competitors. While it has some strengths when it comes to local moving, its lack of options and flexibility in long-distance moving keep it at the back of the pack. 1-800-PackRat IS NOT CHEAP. You won’t save the money you think you will. Read the fine print. 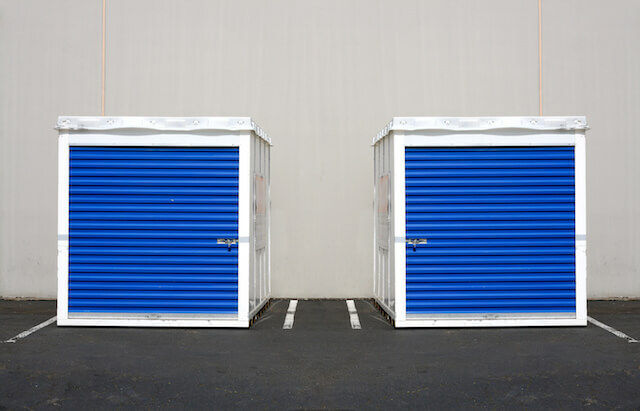 After they have your stuff in storage, they can raise their rate anytime they like. They raised mine twice in less than 5 months!! Never trust a rat!!! Take your business elsewhere. If you don’t believe me, check reviews about them and their competitors. I thought I would save $10-20/mo, but that didn’t happen. If you sign up for insurance, they will charge it even while your container sits in their warehouse. I insured just their container in case someone crashed into it, but they charged me every month, even though it was sitting in their warehouse where their own insurance covers it. Once I had signed up for insurance, I wasn’t allowed to drop it. I’ll say it again, NEVER TRUST A RAT!